EFB in cooperation with European Policy Centre organised a two day visit of the think tank representatives from the region of the Western Balkans on 21-122 of January, 2016. The seminar in Brussels marked the conclusion of Think and Link Programme for 2015. In the course of the year, seven projects from Albania, Bosnia and Herzegovina, Kosovo, Macedonia, Montenegro, and Serbia, supported by the European Fund for the Balkans have conducted policy research on topics related to the EU integration of their respective countries. 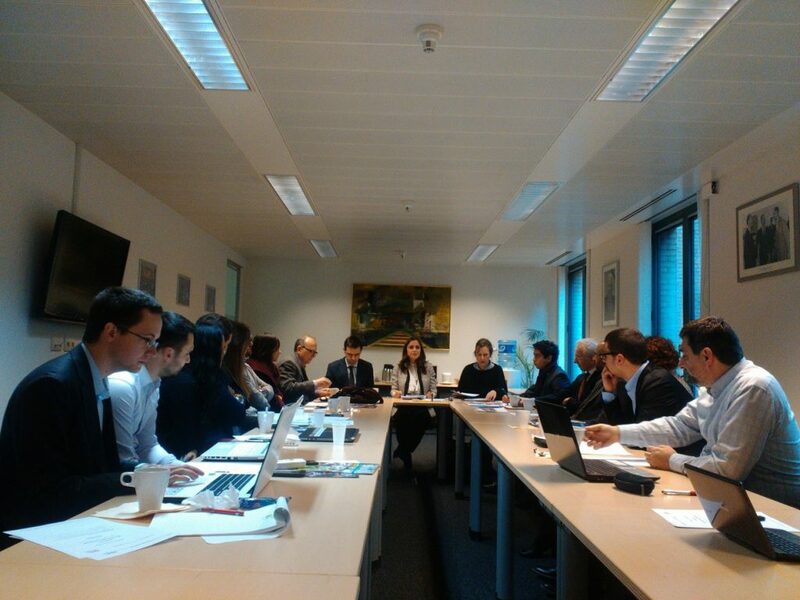 During the two day visit, the think tank representatives from the region presented their findings in the series of meetings and discussions with their counterparts and think tanks based in Brussels, but also with the European decision makers and policy researchers in the European Commission (DG Near). The European Policy Centre hosted the series of round-table discussions among the Western Balkans think tank representatives and their colleagues from EU. The agenda also included the panels “Western Balkans enlargement to the EU, what will the 2016 bring?” and the EPC public event: “Visa liberalisation for Kosovo – Moving from isolation to integration?”, which were important topics for discussion among the present policy analysts, journalist and EC representatives. The whole two-day activities were in line with one of the Think and Link Programme key objectives – to ensure the channels of communication and exchange between civil society organisations from the region, EU policy makers and the think tank scene in Brussels.